Technology Roadmaps: Sustainable Production and Consumption. Home > Sustainable Production and Consumption > Local Energy Generation and Energy from Waste. 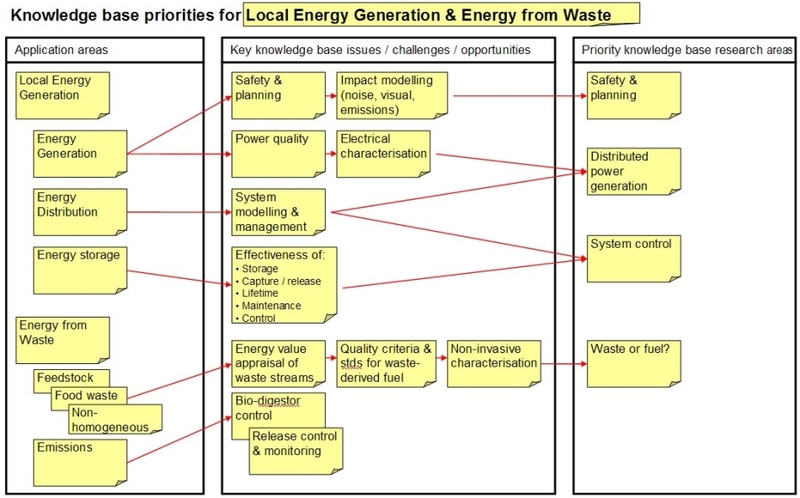 Local Energy Generation and Energy from Waste. The diagram below further explores the knowledge base priorities. The subject is split out into the key application areas each of which is tracked through the key challenges, opportunities and gaps in the knowledge base and prioritised into key research areas.